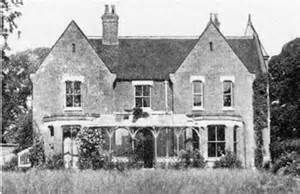 I was sixteen years old when I first heard about Borley Rectory and Harry Price. A work colleague and very good friend of mine still today had the same interest in the supernatural as I had and he told me about the hauntings and all that went on at that house. We had planned to go down the the site but never did. Years went by and Borley Rectory and Harry Price gradually left my thoughts, stored away somewhere in the library of my mind gathering dust along with other forgotten things, waiting to be pulled free and rediscovered once again. Then at the end of last year I saw a book in a supermarket with a very coll black and white cover that looked very ghostly and cold in design. 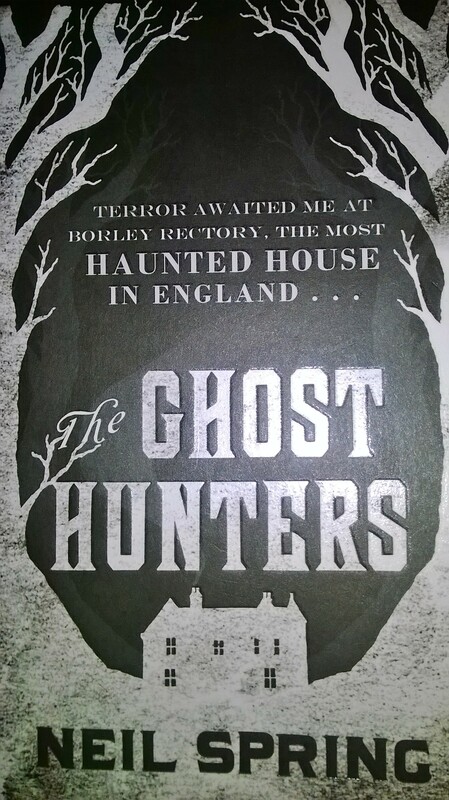 I picked it up and read the title: The Ghost Hunters by Neil Spring. Atop the title read the words ‘Terror awaited me at Borley Rectory, the most haunted house in England…‘ And suddenly I remembered the story and the legend of Borley. I immediately bought it and promised myself I would read it as soon as I had finished what I was reading, a book on Stonehenge. I never did finish it, my curiosity about Neil Spring’s début novel clawing away at my mind, whispering me to be read. And now I have. The story starts in 1977 with a Dr Robert Caxton visiting Senate House Library in Bloomsbury, North London, home to the Harry Price Magical Library, Price’s collection and works on the Paranormal, his life’s work. He is asked by the curator to read a long forgotten manuscript by Sarah Grey, Harry Price’s assistant at the time of the Borley Rectory Hauntings. I myself used to believe in all of this wholeheartedly but now I am not so naive, preferring healthy scepticism and investigation over blind faith. I have seen things I can’t explain, whilst others I have put down to tiredness and an over imagination. The book has it all. It blends fact with fiction, characters both real (Arthur Conan Doyle) and imagined like the Sarah Grey character who is loosely based on Price’s real assistant/secretary Lucy Kay. I knew of some of the accounts at the time but there was quite a lot I didn’t know and now want to look into it much more. I would tell you but it will spoil the story and it’s best if you read it yourself. I really can’t recommend this book highly enough. There could possibly be a sequel and a film or TV show; the latter of which really must be in two or three parts to tell it as a whole. It is screaming to be made and I have no doubt that it will, sooner rather than later I hope. There is though a film called Borley that is slated for a 2015 release with the brilliant Julian Sands playing the Rev Lional Foyster that is not connected with Neil Spring or his book although I have heard nothing on it so far. Even if you don’t like ghost stories or believe in the supernatural, then read it as it is, a psychological investigation into the human animal that plays games with those who are weaker and vulnerable, themselves looking for answers and meaning in their lives. Lies they say will always find you out in the end. When you think you have the end sussed, a surprise or three creeps out from the mists, its tendrils slowly reaching into your head and messing with your brain. All in all, it’s an old fashioned ghost story that I didn’t want to end. I only hope a prequel or sequel is written, not that it needs it, but the possibility is there. I can’t wait to read Neil’s next book about UFO’s entitled The Watchers. Incidentally, if you want to know more about Borley and the surrounding area then foxearth.org.uk is well worth a visit. I’m inspired myself from its historical archives.